Look at the data that actually matters. Not just the pretty numbers. Many medical professionals cringe when they hear the words "healthcare business"—they think of themselves as healthcare providers first and businesses second (if at all). But "business" isn't a dirty word, and there are essential business practices that healthcare clinics can't afford to ignore. Enter data analytics—the metrics that measure the health of every business. So, why do healthcare metrics matter? With solid numbers come deeper insights. You know who you're reaching, how you're reaching them, and how to improve upon what's already working. Data analytics let you calculate your return on investment (ROI) and figure out where to allocate your budget - without the need for (costly) guesswork. Simply put, they should form the backbone of all your marketing efforts. 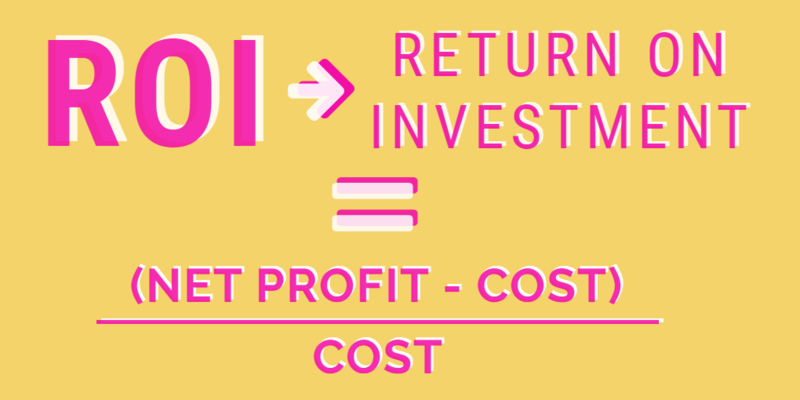 ROI is the metric you want to have a handle on. At face value, it's easy to understand—it's a way of measuring the value of a source or lead (e.g. your patients) based on the return they provide. When you understand your ROI on each marketing channel, you'll be able to concentrate your budget on what's actually working. ROI is further complicated when you try to calculate the value of actions that lack obvious return value, such as blogging, providing a free ebook, or engaging in social media. Trying to defend investments like these can be a hassle - if you don't have the right data to fall back on. Fortunately, the best digital agencies will produce tangible results and actionable takeaways from your data. Knowing how many visitors your website receives, or how many people signed up for an email list is nice, but doesn't tell you what to do next. What you need is information you can act on. Your cost per acquisition (CPA) is an important factor in calculating your ROI. Your CPA gives you the information you need to hone your sales pitch, know which advertising channels to invest in, and distribute your entire marketing budget. CPA, in a nutshell, is the amount of marketing dollars you need to spend in order to attract new patients. For example, if you've spent $1,000 on marketing and gained 1,000 new customers, your CPA is $1.00. With the right digital marketing tools (such as Google Analytics) you can track new patients and figure out which channels they used to find you. Armed with that information, you can invest your marketing budget on the channels that generate the best-quality leads. For example, if you find that a landing page results in conversions (i.e. a new visitor becoming a patient) 23% of the time, while Facebook ads only work 2% of the time, you can reallocate your budget accordingly. Note that CPA on its own is a misleading stat, if you don't factor in a patient's lifetime value (LTV) as well. LTV calculates how much a patient will spend at your clinic across their numerous visits. So while a patient with a CPA of $1.00 may seem better than one with a CPA of $5.00, if they wind up with a LTV of $100 and $10,000 respectively, the latter is still a better investment. Local – Local search results are ranked based on slightly different criteria. Factors such as the physical address in the city being searched, proximity of address to the point of search, and keywords that include city and state are all factored into your search engine result page rankings (SERPs). Mobile – In addition to normal ranking factors, your mobile search ranking depends on how responsive your website is to mobile platforms. Your website needs to be formatted for mobile searches and include "mobile-friendly" tags for better SERPs. While optimizing your search engine rankings is a tricky business (and an industry unto itself), you can monitor how your website ranks for various keywords relevant to your practice by tracking keywords. Main terms: These are high competition keywords that yield a lot of results. An example would be the keyword "migraine." While ranking well on these searches results in a lot of monthly hits, their conversion rate is generally low—most of your visitors are still doing research, and aren't looking for a clinic yet. Long tail keywords: Long tail keywords are very specific multi-word phrases with far less competition. An example would be the keyword "migraine clinic in Houston." While long tail keywords result in a much lower traffic volume, they result in a much higher conversion rate—people searching for something specific are more likely to phone your clinic or book an appointment. Note that while main keywords are searched for more frequently and channel more traffic to your website, it's actually the long-tail keywords that express buying intent and result in more new patients booking appointments. Check out our recent blog post for tips on optimizing your medical practice's website. 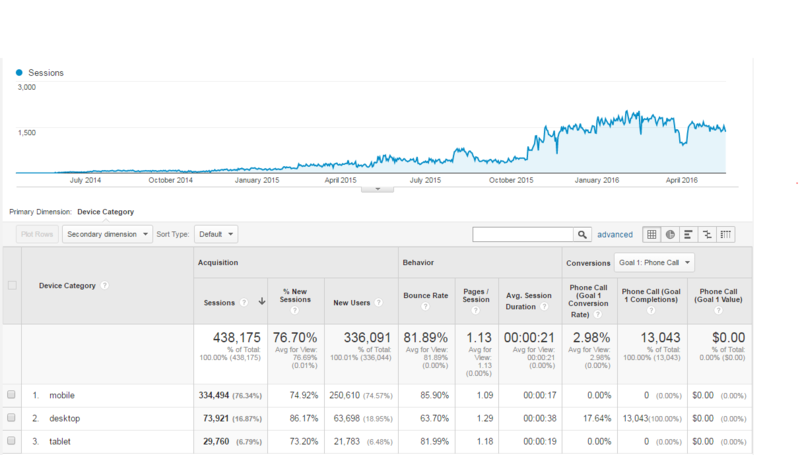 How often visitors download and/or view those assets. Ensuring that each page of your website has a prominent call to action or CTA is the key to maximizing your monthly conversions. CTAs are prompts that tell your visitors what action you want them to take—whether it's sign up for an email list or book a consultation. However, CTAs are not one-size-fits-all. Each one should be tailored to suit your needs, with the end goal of moving patients through the business funnel, until they're finally ready to book an appointment. Lead generation – These CTAs appeal to new visitors, usually through the magic word: free. Common lead generation CTAs include: "Get free updates" and "Download the free ebook." Informational – Calls to "Learn more" or "Find more information" are perfect for appealing to visitors who aren't quite ready to schedule an appointment with you - they're still in their research phase. Email forms – Form submissions aim to get a visitor's email address, so that you can target future marketing efforts their way. Social sharing – Most blog posts, ebooks, and useful checklists have social media buttons available for easy sharing. These are simple, but effective CTAs. Consultation/Appointments – Resist the urge to slap "Book a free consultation" on every page of your website. Most of your visitors aren't ready for that commitment, so you should only plug this CTA when it makes sense—for example, on pages discussing specific medical symptoms or available treatments. A thought leader is a recognized industry expert in a specific medical field. Maybe you have best-in-class treatments for knee pain, or your fertility clinic specializes in aiding pregnancies. The key to becoming a thought leader lies in establishing your niche. Nobody excels at everything, but one or two specialized services will differentiate you from your competitors and help focus your marketing campaign. Market permeation – you should be regarded as the go-to solution for a specific problem, treatment, or procedure. Authoritative stance – your opinion on your specialization should be well-informed and carry weight within the medical industry. Community engagement – you should reach out to other experts and publically display your knowledge. You can do this through social media and the assets you make available (ebooks, blog posts, etc). If you don't currently know your specialization, Google Webmaster Tools can help you find out how people are searching for you online (and what they think of you). Tracking the value of your social engagement isn't an exact science—engagement metrics don't show a definitive ROI, nor do they directly result in more leads or conversions. Nonetheless, engagement metrics go a long way towards improving your clinic's message penetration in the healthcare industry, and it helps establish you as a thought leader (as mentioned above). Social media: One of the best ways to establish yourself as a thought leader is through sharing relevant, high-quality content on social media, and through mentioning other prominent industry leaders. Guest blogs: Guest blog on other industry leaders' websites to expose yourself to their followers and help establish your reputation as a thought leader in your niche. You can also comment on other professional blogs, adding your own thoughts to the conversation. Hosted webinars: How-to guides, customer testimonials, and best-advice guides (such as preventative tips) are all great topics to share through a video tutorial. You can also upload your own videos – YouTube is the world's second largest search engine. Email lists: Don't neglect your current patients as you seek out new ones. Keep people informed through mailing lists, and alert them to any content you publish in your niche. 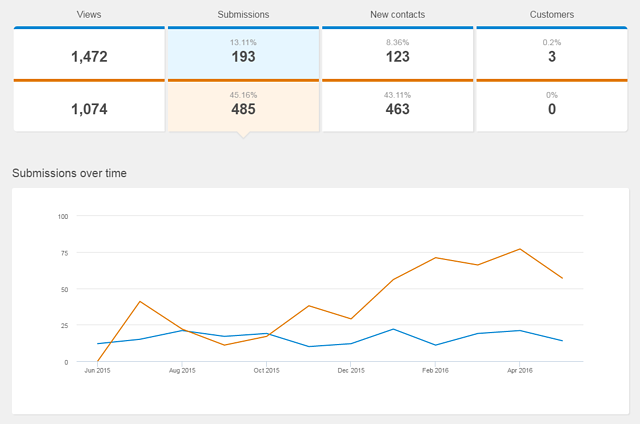 Tools such as HubSpot allow you to track your various social interactions. Their "Sources" report shows you which social media leads signed up as patients, while their Lead Scoring will help track leads and identify prospective patients. How satisfied your patients are with your treatments plays a large hand in your success. BrightLocal's consumer survey found that 92% of consumers read online reviews, and that only 13% of consumers will even consider using a business that has a 1 or 2 star rating. A patient's experience is the difference between a referral and a missed opportunity. Reviews are among the most powerful pieces of social proof at your disposal. Actively engaging with and promoting your reviewers factors heavily into your SEO and builds trust with prospective patients. Engagement is equally important if you receive poor reviews. Find out how you can improve your patients' experience, and mention any steps you're taking to rectify the problem. A good way to gauge your patients' satisfaction is to keep an eye on your Net Promoter Score (NPS). Your NPS is rated on a 10-point scale, based on how patients answer the question: "How likely is it that you would recommend this clinic?" Business-minded medical practices that don't neglect the "business aspects" of their industry increase their revenue AND gain the resources they need to expand and reach the patients who need them the most. Case in point: our recent success story published by Yasmin. 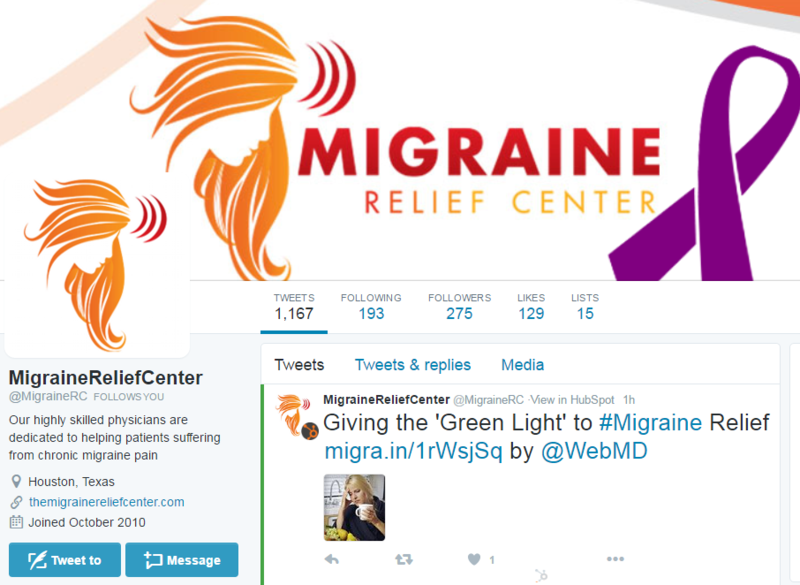 We helped the Migraine Relief Center in Houston establish a foothold on the web and generate more than $540k additional revenue, which they used to open 3 new clinics in Dallas, Los Angeles, and Las Vegas. As a result, we get to expand our efforts to new markets and more people get access to the treatments they need. Even in the healthcare industry, relying on metrics to inform your marketing strategy will keep your business... well, healthy.